Yokneam, Israel – 13-Jan-14 – CompuLab is introducing Intense PC2 – a miniature fanless PC with 4th generation Intel® Core™ processor and unprecedented array of features – including three 4K displays, 3 internal disks and a trio of networking interfaces – LAN, WLAN and cellular data communication. 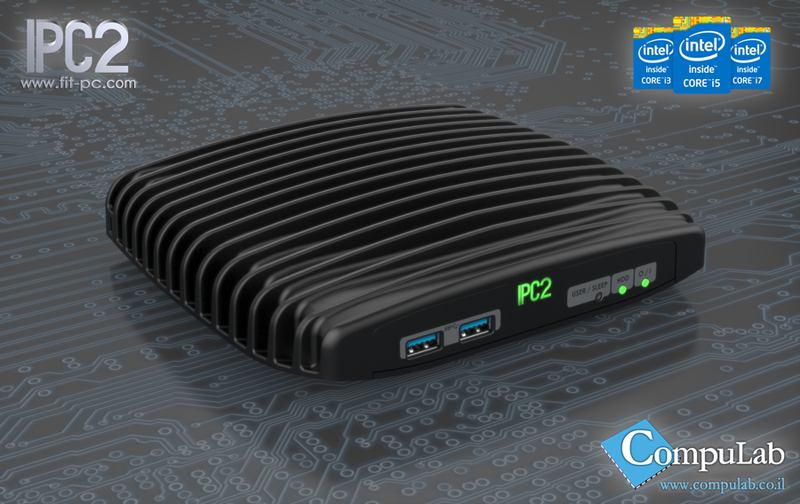 IPC2 is the 2nd generation of Intense PC – CompuLab’s acclaimed miniature fanless PC best known as the official Linux Mint PC – the MintBox 2. IPC2 further improves the best-in-class features of its predecessor with 4th generation Intel® Core™ i7 Processor, a 3rd display with 4K resolution support, a 3rd internal SATA device, 802.11ac WLAN, cellular communication, a pair of Intel Gbit Ethernet NICs, 2 extra USB3 ports for a total of 4 and 2 additional RS232 ports. IPC2 brings efficiency to a new level with 30% higher performance than its predecessor and 40% lower idle power of under 6W. “IPC2 design goal was more-for-less” said Stas Lapchev – IPC2 Product Architect. 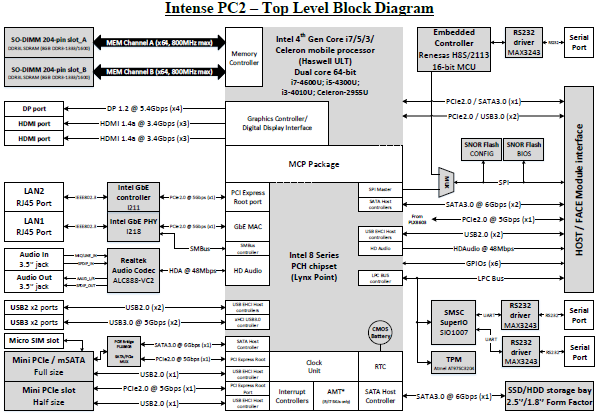 “Every single aspect is enhanced in IPC2 – CPU and graphics performance, RAM, storage, display, networking and I/O. The major achievement is packing all that new functionality in the same compact fanless-housing while actually reducing power consumption and base price”. IPC2 is designed for user serviceability – hard disk, RAM and mini-PCIe cards are all accessible through a one-screw service door at the bottom of the computer. IPC2 is open and modular with support for CompuLab FACE Modules – allowing third parties to design their own Function and Connectivity Extension Modules for IPC2. 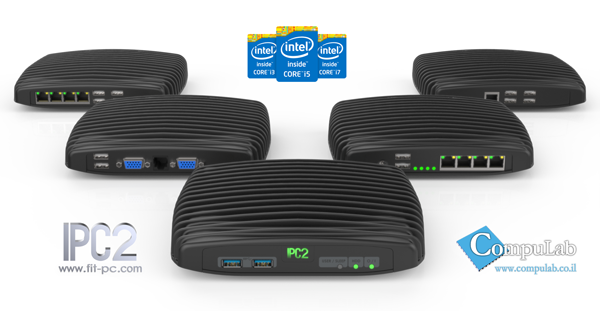 IPC2 can be pre-ordered now from CompuLab starting at $388. Availability through Amazon and CompuLab resellers is expected in February 2014. CompuLab is a leading designer and manufacturer of embedded computing products since 1992 with product lines ranging from computer-on-modules to ready-to-use miniature computers. CompuLab’s fit-PC line of miniature, fanless PCs – introduced in 2007 – positioned CompuLab as an industry leader in the field of miniature, fanless industrial PCs. CompuLab headquarters are located in Yokneam, Israel with offices in St. Petersburg, FL.